Hailing from historic County Waterford, Danú is one of the leading traditional Irish ensembles of today. Their standing room only concerts throughout Ireland are true events, featuring high-energy performances and a glorious mix of ancient Irish music and new repertoire. The band formed in 1995 as part of Irelands delegation to Lorient Inter-Celtic Festival in Brittany, France (an annual event that is the biggest gathering of celtic nations in the world). The debut album simply entitled ‘Danú’ was released by the band in 1997 to huge critical acclaim and in 1999 Danú signed a multi-album record deal with the Record Label Shanachie Entertainment with whom they subsequently released five albums and a live DVD internationally between 2000 and 2006. Over the past few years Danú has added two independent releases to their discography. 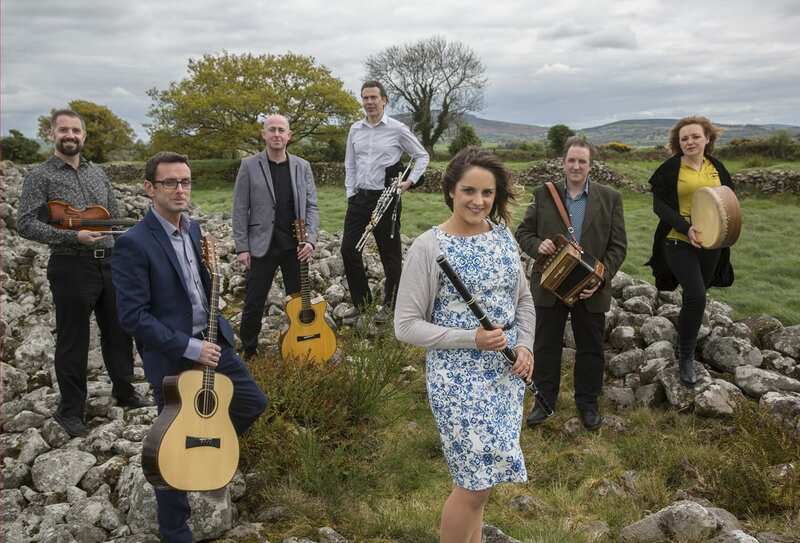 For over 2 decades Danú’s virtuosi players on flute, tin whistle, fiddle, button accordion, bouzouki, and vocals (Irish and English) have deligthed audiences worldwide. Winners of numerous awards from the BBC and Irish Music Magazine, Danú has toured throughout Europe and North America with stops at The Hollywood Bowl in Los Angeles and Symphony Space in New York City. Danú takes its audiences on a musical journey to their native Ireland, offering a moving and memorable concert experience. Danú welcomes star vocalist Nell Ní Chróinín into the fold in 2016 marking the beginning of an exciting new chapter in the band’s legacy. Nell’s multiple awards include TG4 Traditional Singer of the Year 2012 and she was also the winner of the prestigious Oireactas ‘Corn Uí Riada’ award in 2014.